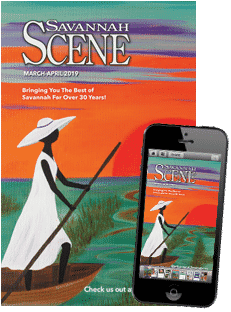 Savannah serves up her best weather in the spring, and with great weather comes even greater events. With all that’s going on, it’s hard to find a reason to stay indoors! Whether you are traveling with friends, family, or going solo, our list of the top 10 things to do this spring has something for everyone to experience in Georgia’s First City. 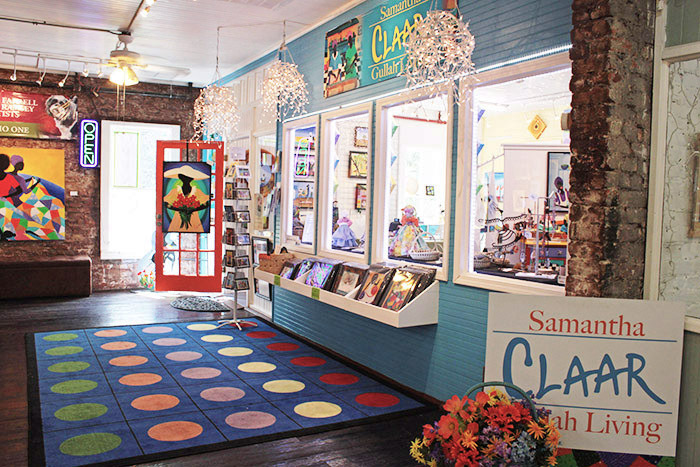 Samantha Claar’s Gallery in City Market. Photo by Andrea Six. Savannah’s cobblestone streets and Spanish moss have inspired artists for years. 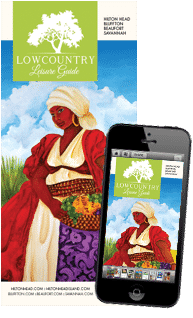 Explore the vibrant art galleries of artists Samantha Claar, Luba Lowry, Sue Gouse and many more at Savannah’s City Market. 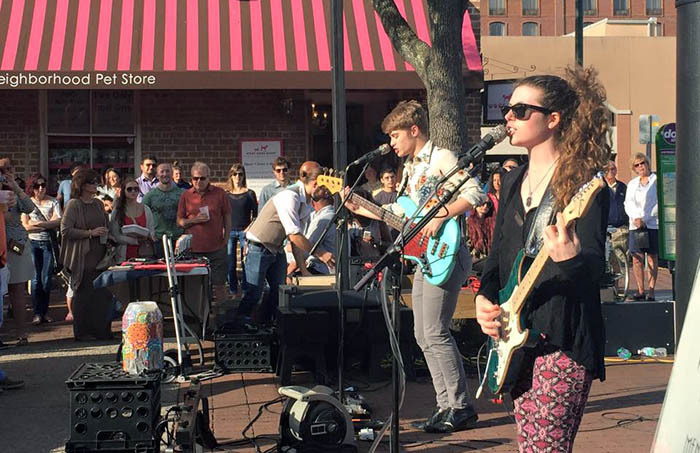 If you’re itching to stay outdoors, join Savannah Art Walk’s Second Saturday Art Walk or Art Rise Savannah’s First Friday Art March – which takes over the Starland District with a colorful parade and festival. No matter where or how you the take in the art, it’s guaranteed to leave an impact on you the way it has on our incredible artists. Live performance in City Market. Photo by Andrea Six. There’s nothing like kicking back and enjoying live music. In April, the annual Savannah Music Festival returns to showcase diverse music from all over the world. And evenings in Savannah’s City Market have live music in the midst of the bars and shops that line the street! Grab a drink in one of Savannah’s infamous to-go cups and dance the night away to energetic music, or check out Savannah’s latest venue, The Stage On Bay, for both nationally known and locally known musicians. 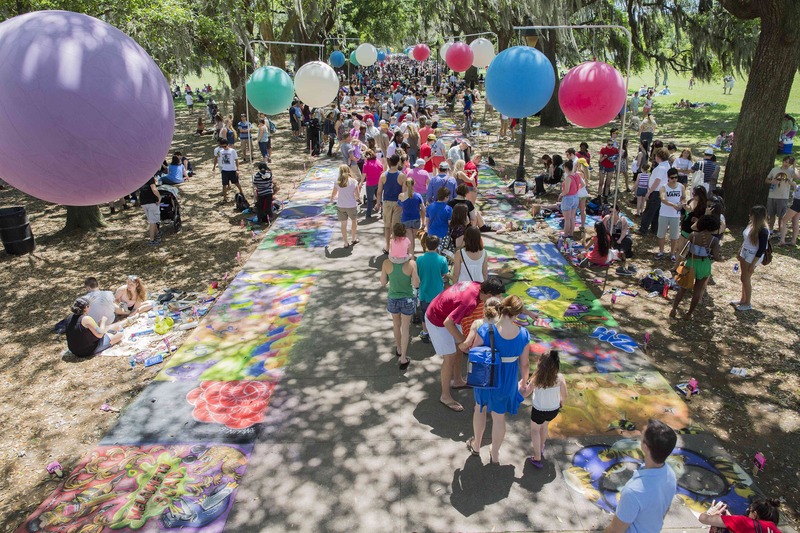 SCAD’s Sidewalk Arts Festival in Forsyth Park. Photo by John McKinnon, courtesy of SCAD. Old Town Trolley’s Ghosts and Gravestones trolley tour on River Street. Photo courtesy of Historic Tours of America. With Savannah’s history right at our fingertips, it’s no wonder we’re one of the most haunted cities! See what spirits you can find on one of our many eerie ghost tours. 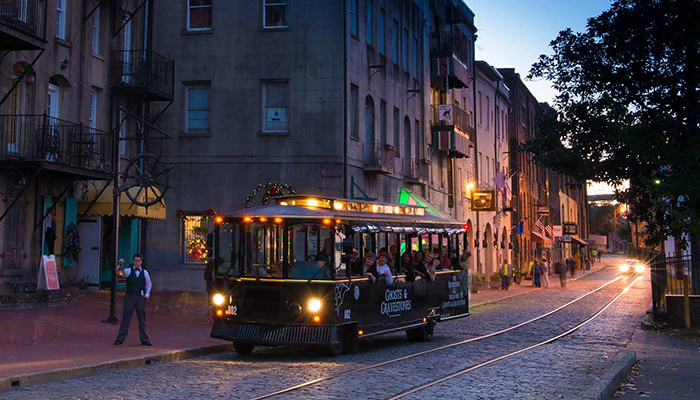 You can rest your feet while hearing tales of ghosts and ghouls on Old Town Trolley’s Ghosts and Gravestones, Old Savannah Tours’ Grave Encounters, or even an out-of-service hearse on a Hearse Ghost Tour. If you would rather walk among the dead, check out Blue Orb to get close-up video footage of ghost sightings, or The Best Savannah Tour Co.’s audio-enhanced walking tour. No matter how you search for spirits, you’re sure to get spooked. 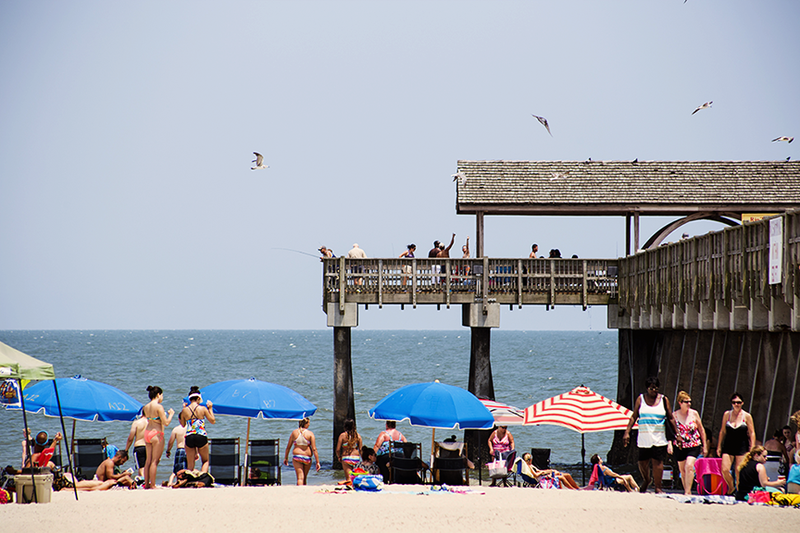 The pier and pavilion at Tybee Island’s South Beach. Photo by Nicolette Kay. Tybee Island is just a beautiful 30-minute drive away. Search for seashells along the shoreline of the beach or tour Georgia’s oldest and tallest lighthouse. The historic black-and-white lighthouse stands 145 feet tall and is a sight you won’t want to—and can’t—miss! If you don’t want to remain landlocked, watch for dolphins playing in their natural habitat on Captain Mike’s Dolphin Tours. If you can’t get to out to Tybee, take a Dolphin Magic tour that sets sail right from River Street! Blooming azaleas in Forsyth Park. Photo by Andrea Six. 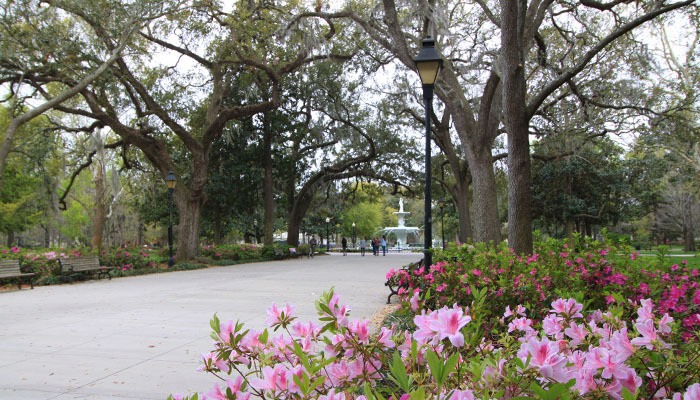 Savannah comes to life in the spring with stunning azalea and camellia blooms throughout the squares and streets. Take a trip to the Coastal Georgia Botanical Garden and Savannah Botanical Garden to admire the most beautiful flower gardens in town. Or hang in the Historic District by filling a basket with your favorite treats and relaxing on the lawn in Forsyth Park for a picnic among the flowers. 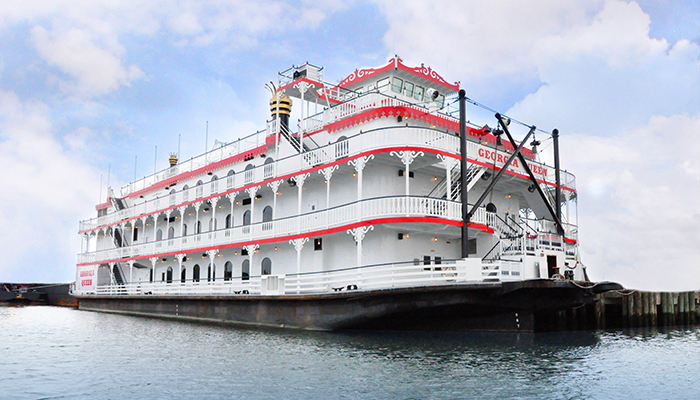 The Savannah Riverboat Cruises’ new Georgia Queen boat. Photos courtesy of the Savannah Riverboat Cruises. Find your sea legs on the river with one of Savannah’s riverboat cruises. Enjoy fresh seafood and southern staples for brunch with friends or dinner with a loved one on the Georgia Queen and Savannah River Queen. The Moonlight cruise is the perfect option to unwind after a long week. With live music, dancing, and dazzling views of the city at night, it’s guaranteed to start your weekend right! Veggies at the Forsyth Farmers Market. Photo by Taylor Kigar. 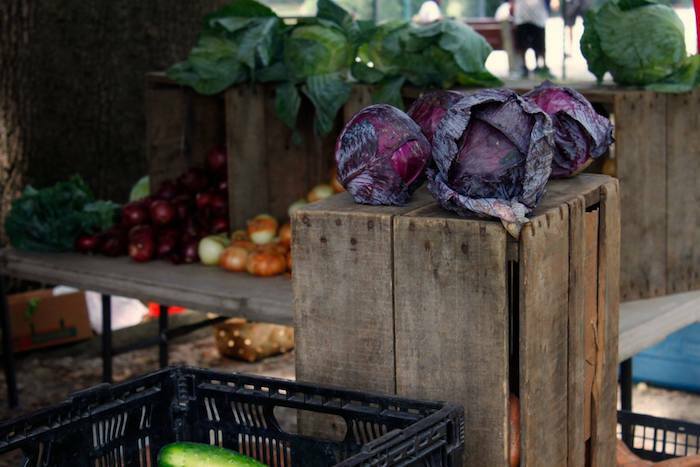 Avoid the crowds at the grocery store and head to the Forsyth Farmer’s Market for an abundance of fresh produce. Every Saturday from 8 a.m. to 1 p.m., the market is a great opportunity to meet and support the people who grow the freshest food in the area. The fruits and vegetables are best for packing a picnic for lunch or cooking up a storm for a gourmet dinner! The marshes at Skidaway Island State Park. Photo courtesy of Skidaway Island State Park. Step away from technology and into nature on one of our many walking trails. 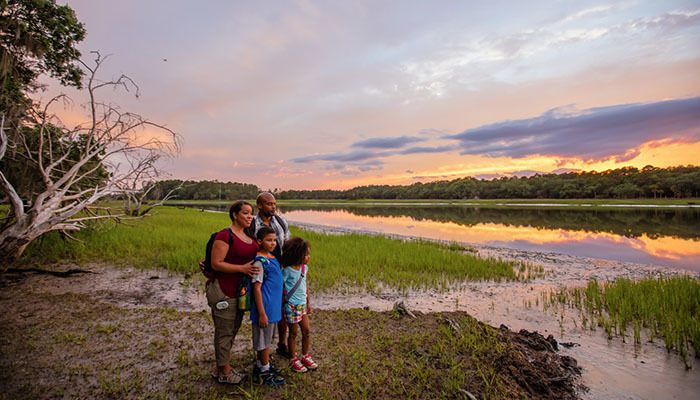 With nearly 30,000 acres of freshwater marshes and bottomland forests, the Savannah National Wildlife Refuge is home to all sorts of wildlife. From alligators to bobcats, the drive and trails promise incredible animal and landscape sightings. Or head over to serene Skidaway Island State Park to take in their breathtaking trails through marshes and maritime forests. Golden Realm Art and Antiques on Bay Street. Photo by Andrea Six. As Georgia’s First City, we know a thing or two about history, and in our many antique shops, it is like walking back through time. 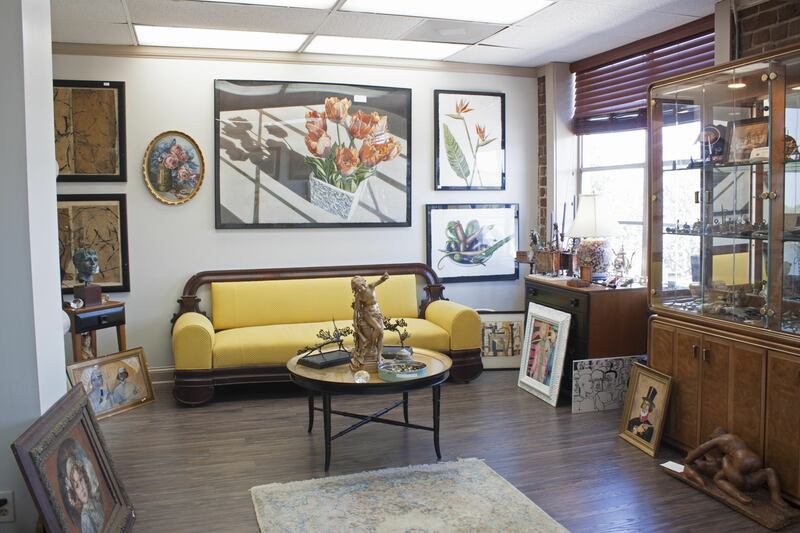 Find rooms full of gorgeous furniture and home decor dating from the 1700s to the 1900s at Raskin Antiques while shuffling through the historic Noble Hardee Mansion or visit Golden Realm on Bay Street to find unique antique and estate jewelry in the Historic District. Or venture out into the Victorian District to Picker Joe’s Antique Mall where treasure is waiting around every corner!